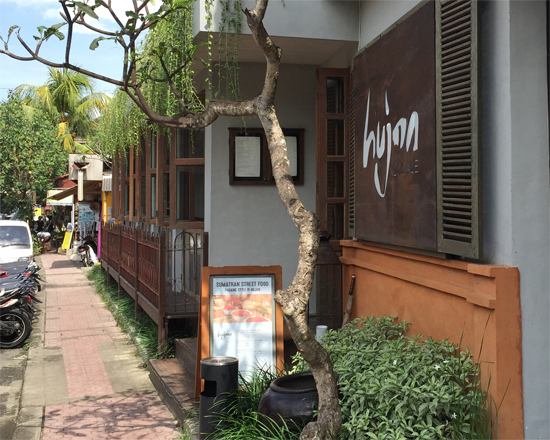 While the menu at breezy, rustic Hujan Locale serves up pan-Asian fare, the focus is on using fresh local Bali produce. The Will Meyrick restaurant following on from Sarong, Mamasan and the E&O Jakarta delivers on dishes following its sisters' established tradition of deep flavours and gorgeous presentation. Located on Jalan Sri Wedari, it’s tucked slightly out of view of mainstream traffic, but it’s easy to find — coffee lovers will no double amble past on their way to Seniman anyway. 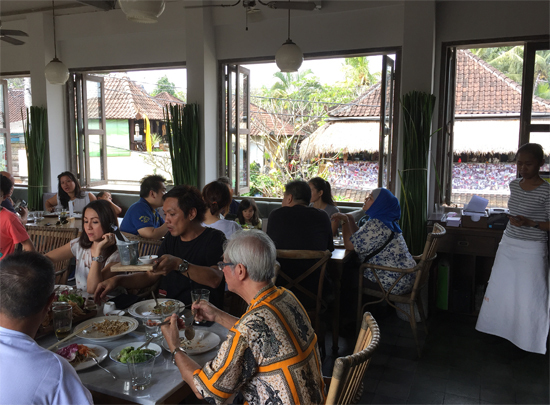 The decor is what’s become in recent years classic modern Bali: cool ceramic tiles, lots of wooden shutters, rattan and marble tables and chairs plus vintage-style pictures and fittings. 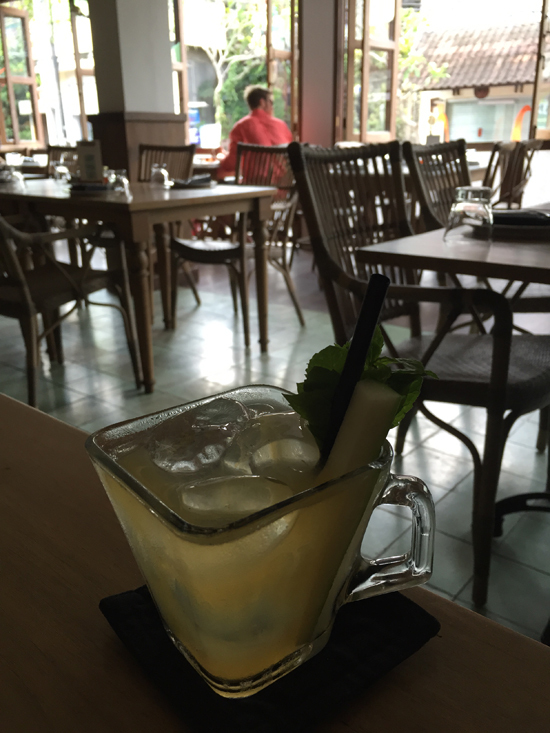 Daytime drinking — you can sober up at Seniman! The cocktail list is enticing enough to have you drinking during the day — the focus is on mojitos, with a choice of raspberry, coconut or classic (95,000++), though a handful of classics are on offer as well. Night-time sees a much broader cocktail menu presented — how about a Brem negroni or a Hujan Manhattan (95,000++). A meal on its own. Portions are generous — you won’t need a starter and main if you’re on your own (at least, I had to ask for half my curry to be wrapped up to go). This is a good spot to bring a few people and share — you’ll want to squeeze in at least one of Will’s signature betel leaf starters (35,000++). Otherwise expect to pay around 70,000-90,000++ for a starter and mostly 120,000-150,000++ for a main. The menu traverses Asia in greatest hits style — when we went the menu featured Vietnamese pho, Sulawesi baked fish, Kashmiri roasted snapper, Sri Lankan cured scallops and a Thai som-tam. Sacrilegious or scrumptious? We think the latter. 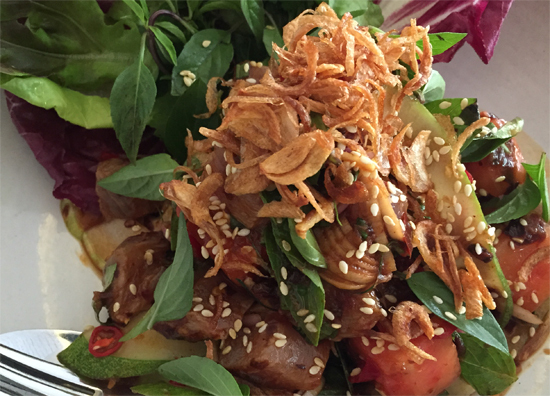 I started with a tuna ceviche, which did well to meet the challenge of serving watermelon as part of a savoury dish — a tangy-sweet dressing and lots of fresh herbs balanced everything out satisfactorily. 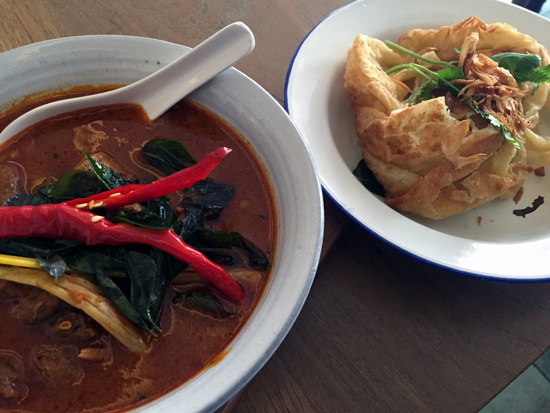 The Sumatran lamb curry was rich and the accompanying roti flakily divine. Prices are not cheap by Bali standards, but they are fair given the world-class quality of the ingredients and preparation. If you’re after a top-notch pan-Asian meal, you just (arguably!) can’t get better than this in Ubud. Breezy and bright — and popular. Book ahead. Upstairs has a breezier feel than the ground floor — we’d recommend heading up here if you can snare a table, or booking in advance.